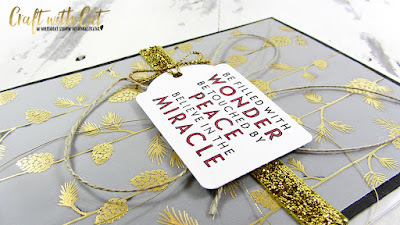 We are overwhelmed by the response to this week’s Christmas-themed challenge. All of the entries were amazing, and we had a really difficult time narrowing it down to just three. Since we had 90 entries (we cannot believe it! ), we decided to choose four winners this week. 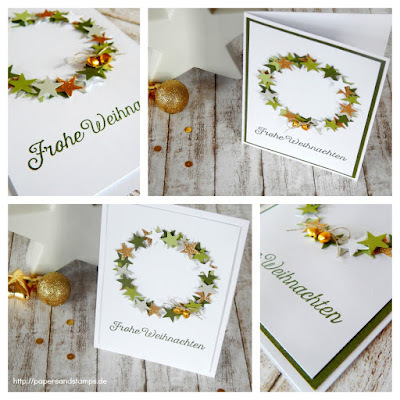 Mandy submitted more than one card this week, and we loved them both - but this beautiful star wreath on a clean white background really captured our attention. Even though the look is clean and simple, you can tell that a lot of time went into creating that amazing wreath. The miniature jingle bells pushed the cuteness factor of this card over-the-top. Way to go, Mandy! We love the artistic feel of this winter scene. The bokeh technique Michaela used on the background really added to the beauty of this card and the stars were a unique touch. Just in case you need a translator, the sentiment reads “Glad Tidings at Christmas”. Such a beautiful project, Michaela! With so many pops of gold against a gorgeous vellum backdrop, Cat's card really stood out in our gallery, but the thin bits of red and black really sent this card over the top for us. What an amazing project! We are so happy you shared. 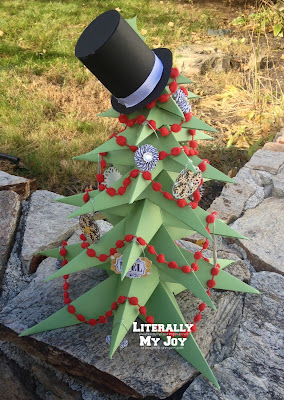 When we saw the amount of work Leann invested into this adorable tree all we could do is say WOW! If the amount of detail in the tree alone isn’t enough, she added lots of hand-stamped ornaments to her whimsical masterpiece. The hat definitely adds to the fun-factor and “tops” off an already amazing project. 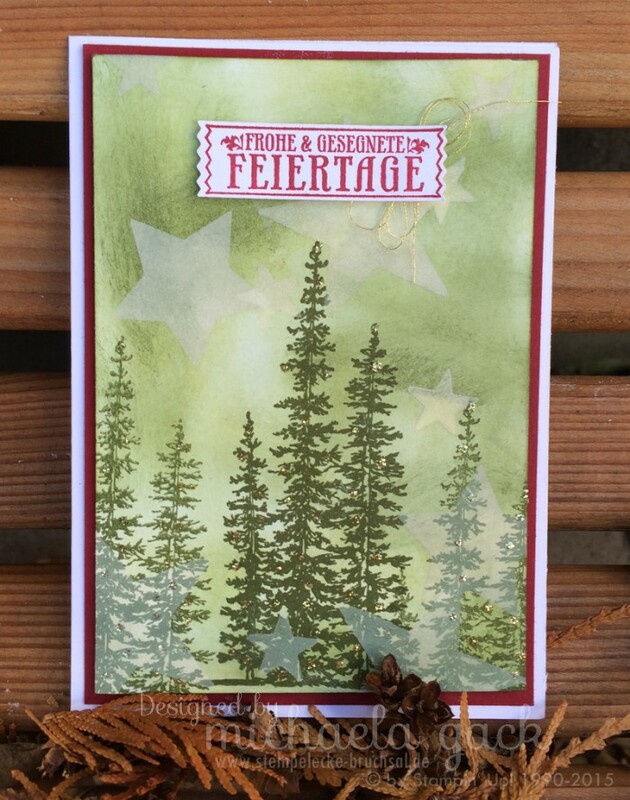 Great cards and star tree. Thanks for the inspiration and sharing them with us. Congratulations to the win this week,well done.